Is Household Mold a Threat to Your Pet? We know household mold is bad for humans. It can cause mild allergic reactions, such as itching and sneezing, to life-threatening reactions, such as those seen in black mold exposure. But can your pet be harmed by mold, too? The answer is a resounding yes! Mold loves damp, dark places, which is why your basement needs to be checked for water seepage, cracked foundation, and visible damage regularly. 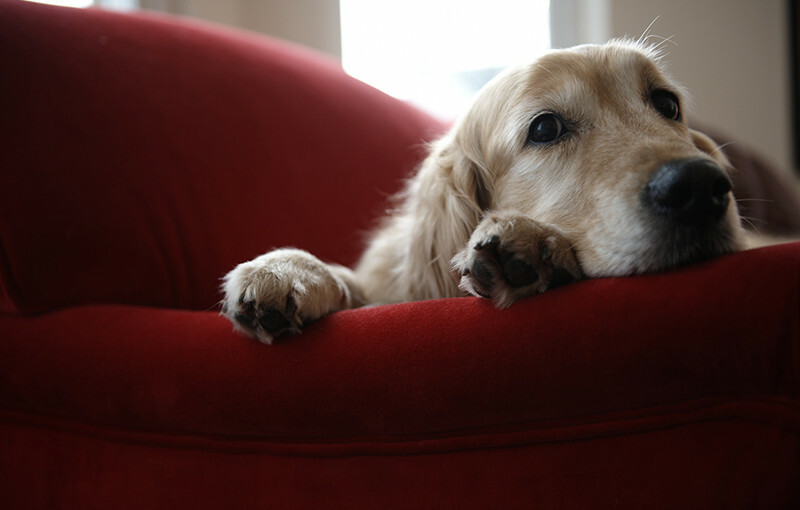 Just like you, your dog, cat, or even bird can have a reaction to household mold exposure. And, just like you, their reaction can range from mild to devastating. In fact, pets are actually much more susceptible to the effects of mold because they tend to be smaller, and their respiratory systems are usually more sensitive than most people. Pets are curious, plain and simple. They’ll explore every nook and cranny of your house, and that’s exactly where mold likes to grow – in the unseen nooks and crannies. Cats will often show increased anxiety if they suffer from allergies. Birds with allergies will typically pluck out or damage their feathers as they try to relieve their skin irritation. If your pet shows these symptoms, make an appointment with the vet for an accurate diagnosis and treatment. Then do a little detective work and to find out where your pet might be finding the mold. Prime areas to search are basements and crawl spaces, attics, and drain areas around your sink, shower, or bathtub. Also, check around window areas, which quickly turn into a mildew haven if the humidity level in the house is above what it should be. Toxic black mold, also known as Stachybotrys chartarum, made headlines in 2007 when a veterinarian diagnosed it as responsible for the death of two cats. The cats had undergone routine dental work under anesthetic, only to die from fatal lung hemorrhages. Black mold produces a mycotoxin (a toxic chemical produced by a fungus) that, when circulated in the bloodstream, causes cell death and damages the liver. The damaged liver has difficulty in producing the proteins necessary for blood to clot, resulting in uncontrollable nosebleeds, blood in bodily waste, or fatal hemorrhages from the lungs. Like typical household mold, toxic black mold grows best in warm, damp conditions and is found in many countries throughout the world. Outdoors, it grows in soil and on plant debris. Indoors, toxic black mold thrives on material high in cellulose and low in nitrogen. This means toxic black mold can grow on many common indoor building materials such as wood and drywall. When toxic black mold does grow in the home it’s usually in a place out of sight. Toxic black mold needs a lot of moisture for a long time before it can begin to grow. This is why it often grows where there has been a water leak hidden from view. Leaks inside walls, above ceilings, or under floors are common causes of toxic black mold. If you see these symptoms in your pet, take them to see a vet immediately! After you’ve taken your pet to the vet, it’s time to call in an expert for your home. If you suspect that mold may be invading your home, Team EverDry is here to help! Contact us online or give us a call at (419) 469-5833 to schedule a free 20-point basement inspection! Stay connected with EverDry Toledo on Social Media to learn more home maintenance tips and tricks!